We have our own QC system to control quality from the raw material to the finish products. This system is one of the reason for our customer to choose, another reason is our quantity and our service. We can do one- stop service, we have our own shipping company, and have 30 country have our own warehouse and can provide logistics services. 3.Simply press the tip of the pen to the bill. 5.Several models of ink counterfeit pens are on sale. 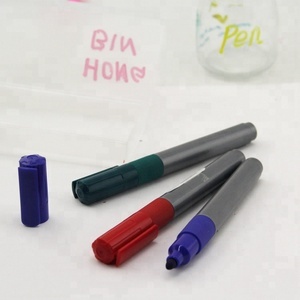 6.Different pen colors are available upon requirements. 2 YRS Shanghai Zhongying Stationery Co., Ltd.
3 YRS Shenzhen Golove Techonogy Co., Ltd.
With 2years shelf time Drawings can keep for long time and easily removed under normal laundry. Samples Offer: Kearing will offer free samples in reasonable quantity for customer quality checking. Samples arrangement: Samples will be prepared to sending in about 3 working days. 3.Simply press the tip of the pen to the bill. 5.Several models of ink counterfeit pens are on sale. 8.Bulk pack or individual blister card pack both offered. 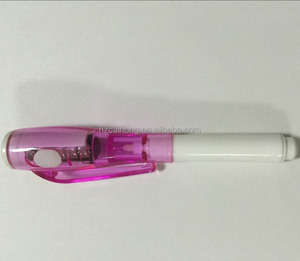 Kearing brand, invisible water removed UV pen, 1.0mm nib washable ink UV marking pen, for secret marking #UV10 Product details: Type: UV maarker,invisible marker,invisible uv pen Item No. W,25KG,MEAS: 53*45*32CM, OEM package design is welcome Supply Ability: 1,0000 pcs/day Payment Term: T/T, L/C ,Paypal, Western Union or others for negotiation Samples Offer: Kearing will offer free samples in reasonable quantity for customer quality checking. Samples arrangement: Samples will be ready in about 3 working days (DHL 3-5days; UPS 3-5days; Fedex / TNT 3-5days; EMS 7-15days to reach destination)Freight shall be in your expenses Welcome international distributors & agencies to JOIN US! 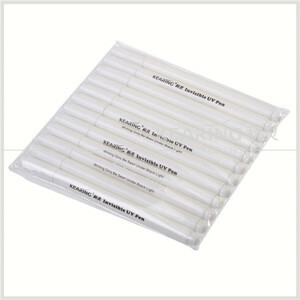 Kearing Products Series (With "Kearing" Brand) include Air Erasable Pen, Water Erasable Pen, Garment Rulers, and Flexible Rulers etc. With close intercommunion and cooperation between University Labs, Kearing R&D Department can develop and design all kinds of related or special markers and rulers freely! With top quality products and high responsibility, Kearing has surpassed her rivals to become a well-known brand and reliable supplier, and gained unanimous good reputation from both her distributors and consumers. Very interesting and bring fun for kids. 3.Large selection to fit all your needs. 5.Great quality products and superior customer service. Question 3. Can you provide sample9 We can provide the samples, customer just need pay for the freight charge. Question 4. How long is your production time9 For OEM products, our lead time is 30-45days after all the details are checked. For our stock products(you can customized your logo), our lead tome is 7-10 days Question 5. What's your payment terms9 1. TT 30% deposit after signing the contract,the balance 70% against the B/L within 3 days. 1 YRS Jinan Derek Laser Technology Co., Ltd.
2 YRS Xiamen Sunyi Brain Technology Co., Ltd.
7 YRS Shenzhen Ylaire Electronics Co., Ltd.
4 YRS Chengdu Blueworth Plastic Products Co., Ltd.
6. Once the ink reaches onto tip, you can start to mark the ear tag. 7. To prevent the tip from drying &ndash; replace the cap back, when not in use. 8. Be careful to open the cap, to prevent ink your hand due to it is not easy to clean your hand. 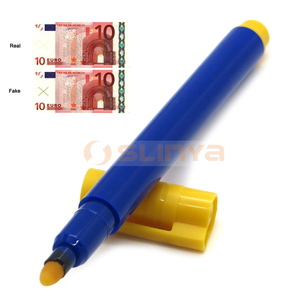 Alibaba.com offers 690 uv marking pen products. 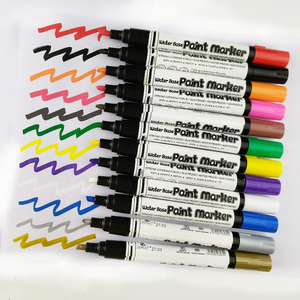 About 43% of these are marker pens, 24% are permanent markers, and 1% are whiteboard marker. 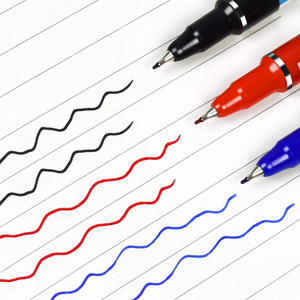 A wide variety of uv marking pen options are available to you, such as free samples. 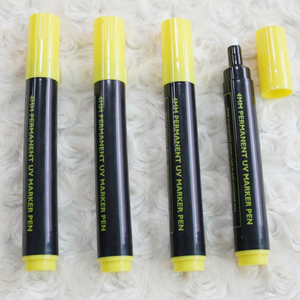 There are 690 uv marking pen suppliers, mainly located in Asia. 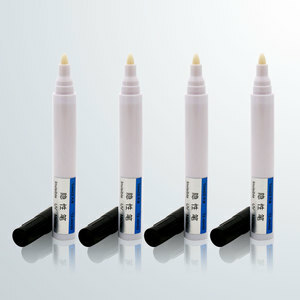 The top supplying country is China (Mainland), which supply 100% of uv marking pen respectively. 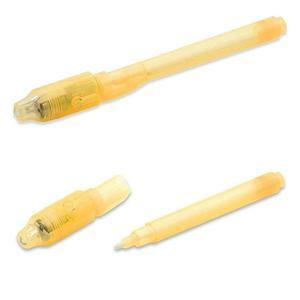 Uv marking pen products are most popular in Western Europe, North America, and Domestic Market. You can ensure product safety by selecting from certified suppliers, including 446 with Other, 188 with ISO9001, and 25 with ISO14001 certification.